Oct, 25, 1959 QHS sent Ethiopian Orthodox Tewahedo Faith to West: She was 1st and oldest church established and last church to reach west H.I.M. sent the ancient order to the west to teach us about our Divine heritage and we were supposed to apply it to our lives. When we saw the church and Ethiopian Synod under attack by Vatican, we should have sought out our own clergy and vet them. We should’ve branched off into our own loving branch and continued on the ancient traditions. Ones began to stray and start their own Rastafari houses and began teaching heretics and false doctrines. Ones have become a curse. This is the reason why the “Movement” has been at a standstill. Our Faith stands to this day. This is RESTORATION TIME. . If Qedemawi Haile Selassie says to DEFEND and FOLLOW this FAITH, coming from the Order of Melchizedek, teaching the TRUE CHRIST, then we follow the same. RTV represent this FAITH without borders or walls. The Universe is INI church and the highest Him/Herself has established this! Let this ancient FAITH live on in us! RTV is non-religious, non-governmental but we are SPIRITUAL & FAITHFUL TO THE LION & THE LAMB! Long Live The Ancient TEWAHEDO FAITH! The following article or section represents an Oriental Orthodox (Non-Chalcedonian) perspective, which may differ from an Eastern Orthodox (Chalcedonian) understanding. Archbishop Yesehaq Mandefro (Abuna Yesehaq), 1933-2005, a leader in the diaspora of the Ethiopian Orthodox Tewahedo Church. His Eminence Archbishop Yesehaq (Mandefro) of the Western Hemisphere, also Abuna Yesehaq or Father Isaac (born Laike Maryam Mandefro in 1933 in Adwa, Ethiopia – transitioned from earth on December 29, 2005 in Newark, New Jersey), was a leader of the Ethiopian Orthodox Tewahedo Church in the Western Hemisphere. A monk of Debra Libanos, he arrived in the West Indies from Africa in 1970 and initiated an extraordinary period of evangelisation and conversion. He also undertook missionary journeys throughout the Western world and in 1979 was made Primate of the Church of Ethiopia in the Western Hemisphere. In the early 1990’s he split his congregations in the Americas from the mother church in Addis Ababa during the political upheaval in Ethiopia. He was credited with forming more than 70 congregations, with more than 300,000 members throughout the Caribbean and elsewhere. Archbishop Yesehaq was also the hierarch who baptized Jamaican singer-songwriter and musician Bob Marley (†1981) into the Ethiopian Orthodox Tewahedo Church in Kingston, Jamaica, on November 4, 1980. Archbishop Yesehaq was born Laike Maryam Mandefro to an Ethiopian Orthodox family in 1933. He grew up in the Debra Libanos monastery from the time he was three years old. Attending liturgical schools in Ethiopia, he excelled in spiritual knowledge as well as in secular studies, and was ordained a deacon and priest there. He was one of the clerics fortunate enough to be tutored personally by Emperor Haile Selassie I, the titular head of the Church. Coming west, he first went to Buffalo and later to New York City to continue his divinity studies, receiving advanced degrees in religious education and theology, including a Doctorate of Divinity from Princeton University (School of Theology), St. Vladimir’s Russian Orthodox Seminary, and a degree in Psychology and English Literature from NYU. Abba Laike Mandefro, as he was then known, was originally appointed by the Emperor Haile Selassie and was sent to the Americas in 1962 to tend to Ethiopians principally in the United States and Jamaica. Since October 1959, the Ethiopian Orthodox Church had officially established a branch in New York, and Abba Laike Mandefro was given the task of finding a more suitable building for the Church, which was purchased in 1966. However when Mandefro returned to Ethiopia to seek assistance for renovations, the building was claimed by the New York City authorities in his absence. With the assistance of Emperor Haile Selassie however, and the Ethiopian consulate in New York, Mandefro returned to New York City and purchased another site for the Church in 1969. Thus in 1970 Abuna Yesehaq was sent to Jamaica where he began to minister specifically to the Rastafari community, at the official invitation of Rasta elders including Joseph Hibbert, who was in turn named as a “Spiritual Organizer” by Mandefro. In the course of a year he baptized some 1200 dreads and laid the foundation for the church’s subsequent growth. 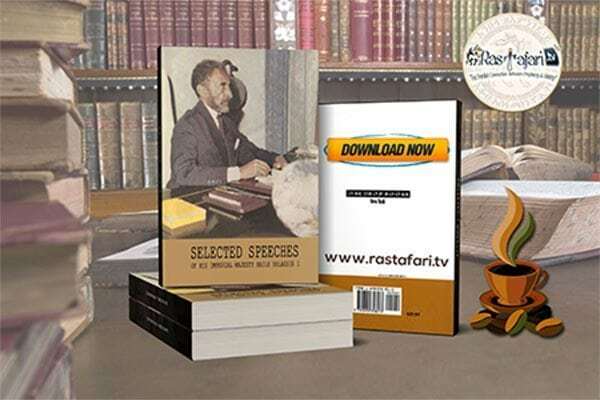 He also encountered fierce opposition from those Elders who taught that Haile Selassie was Jah in essence and demanded “baptism in Ras Tafari’s name”. In Montego Bay, only one dread accepted Orthodox baptism; Laike Mandefro baptized him Ahadu — “One Man”. Many government officials and others in Jamaica were deeply disappointed that Abba Mandefro defended the Rastafarians’ faith on many occasions, and that he baptised thousands of them, pointedly refusing to denounce their faith in Haile Selassie as the returned Christ. On the other hand, a large number of other Rastas were likewise disappointed because he would not baptise them in the name of the Emperor, but only in the name of Jesus Christ. This however did not disturb those Rastas who viewed Christ and Haile Selassie as one and the same, and readily underwent baptism at the hands of this man who had been sent from Ethiopia by their living God. Only after the Marxist Derg Revolution toppled Haile Selassie (on September 12, 1974)[note 1] and appointed their own Patriarch over the Church, did the requirement become enforced for prospective baptisees in Jamaica to renounce his divinity and cut their dreadlocks. In 1979 he received the title “Archbishop Yesehaq of the Western Hemisphere and South Africa”. Archbishop Yesehaq was perhaps best known to the non-religious world as Godfather and spiritual adviser to Bob and Rita Marley and their children. Bob Marley’s close friend Tommy Cowan also stated that Bob converted to Christianity before he died. When Patriarch Abune Paulos was elected in 1992 under the new government of the Ethiopian People’s Revolutionary Democratic Front (EPRDF), the incumbent Patriarch Catholicos of All Ethiopia Abune Merkorios and his supporters went into exile, establishing a rival synod in the United States, thus creating a schism in the Ethiopian Orthodox Tewahedo Church. Abuna Yesehaq refused to recognise this political change, pointing out that according to the ancient Church canons, the Church leaders are to remain in office until they pass away, and cannot be dismissed or reappointed by any secular government; and that Ethiopian Orthodox canon law does not allow for the dethronement of a patriarch except on the grounds of heresy. Thus he declared the Western Hemisphere branch independent of Addis Ababa rather than accept the pre-eminence of the new patriarch, Abuna Paulos. In the ensuing dispute over the authority of the two prelates, adherents of Archbishop Abuna Yesehaq clung to their own interpretation of canon law and continued to follow him, instead of the patriarch in Addis Ababa. 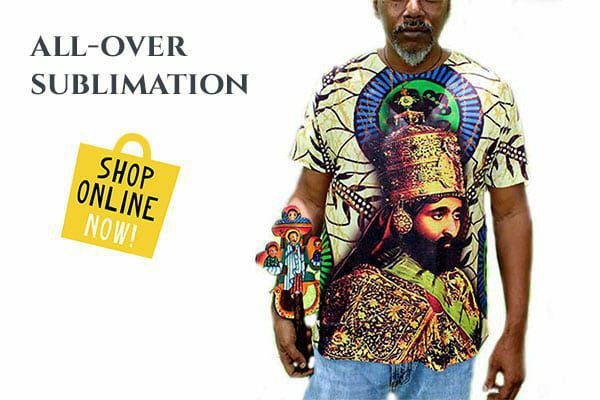 “The most important reason he is being buried in Jamaica, is because he came here on a mission specifically directed by His Majesty, Emperor Haile Selassie I, to establish the Ethiopian Orthodox Church. 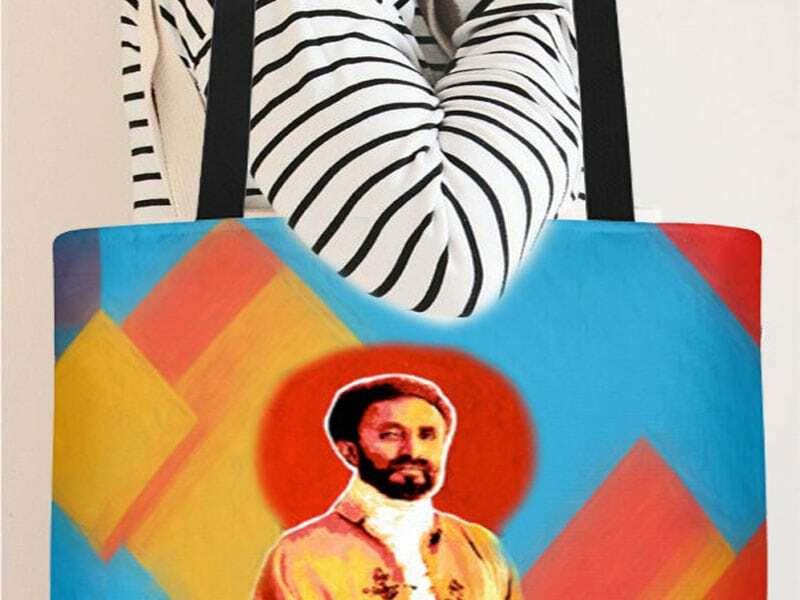 This was because of the love the Jamaican people have for Ethiopia and His Majesty,” said a spokesperson of the church. His funeral at the National Arena in Jamaica on January 20, 2006 drew hundreds of mourners including Jamaican politicians, celebrities and members of the Rastafarian community, and was marked by lengthy rituals of liturgical drumming and chanting in the ancient Ethiopian languages of Geez and Amharic. Abba Mandefro founded many Oriental Orthodox Churches throughout the Caribbean and elsewhere, being credited with forming more than 70 congregations, with more than 300,000 members, many of them in the Caribbean. Besides establishing the EOC in Jamaica in 1970 with branches islandwide, He also established chapters in England, Canada, South Africa, Trinidad and Tobago, the US Virgin Islands, Guyana, St Kitts and Bermuda. In particular he is credited with introducing Ethiopian Orthodox Christianity to Rastafarians throughout the Caribbean region, baptising an estimated 45,000 of them into the church. According to Norman Hugh Redington, editor of the St. Pachomius Library, many people would add that Abuna Yesehaq was an “Apostle to the Caribbean.”…..